Collar up, shoulders hunched and hands planted into the pockets of his big winter coat. One of those numerically older yet physically younger individuals. He walked along Walton Breck Road and across the façade of the Kop, heading in the general direction of The Sandon, the pub once owned by John Houlding, the father of Liverpool Football Club. To the unsuspecting, unobservant eye, he struck an unremarkable demeanour. He was very much a product of his surroundings. Half an hour or so before the kick-off time of a late-winter home game for Liverpool, he looked like any other fan, perhaps scurrying to make a pre-arranged appointment to pick up his ticket for the game. Other passers-by didn’t even bat an eyelid, and anonymously, he simply melted into the crowd. Far from being unremarkable, he was, in fact, a three-time European Cup winner and a four-time league champion. The owner of a collection of winners medals that Liverpool’s current generation of players can only dream of, and quite possibly the best footballer never to have won an England cap. The man in question was Jimmy Case. Case is a member of a very special group of players. An integral component of a unit, a midfield unit, the greatest midfield unit to ever take to the field of play in the name of Liverpool Football Club. Alongside Graeme Souness, Terry McDermott and Ray Kennedy, Case helped form an immortal and immovable central line. In the pantheon of great Liverpool sides, Case was the solid rock of the greatest side they ever produced. While there might have been Liverpool teams that collected more trophies than the 1978-79 version did, there simply was no finer red vintage than that one. Set within the final few seasons of the two points for a win system, in today’s terms, Liverpool won the ’79 title by a 17-point margin. They won 30 of their 42 league games, scoring 85 goals and conceding just 16. Unbeaten on home soil, winning all but two of their games at Anfield, they conceded only four goals in front of an enthralled Kop. They were nothing short of astonishing. Five years prior to the beginning of that campaign, Case was turning out for non-league South Liverpool. He made the giant leap from the local leagues to goalscorer in the UEFA Cup final in just three years. The rise of Case was meteoric, and at one stage of his formative years in the game, he practically told Liverpool to stick their offer of employment where the sun doesn’t shine. Combative, yet slight of frame in his adolescence, Case had already suffered two pronounced setbacks to his boyhood dreams of playing football professionally when he was finally offered a trial at Melwood, by Tom Saunders, who was by then the youth development officer. Saunders, a former school teacher, and the man responsible for the broader width of the Liverpool area schoolboy team, prior to joining Bill Shankly’s backroom staff, had previously disregarded the talents of Case when it came to representing the city at secondary school levels. Case had marked Saunders’ card, and he remembered that earlier knock-back when Saunders approached him during a game he was playing for South Liverpool, with an offer of a trial at Shankly’s league champions. During the intervening years between those first and second encounters with Saunders, Case had become an entirely different physical prospect. Having filled out into a more balanced and muscular entity, he had also toughened up mentally. Turned away by Dave Merrington at Burnley, having been told he didn’t have what it takes to be a professional footballer, Case went on to find his niche at Holly Park, via the character and skill building park pitches of Merseyside, upon which he turned out for the tough Dockers affiliated team, Blue Union. By the time Saunders invited him to Anfield, Case had begun an electrician’s apprenticeship, and combined with paid appearances for South Liverpool, he saw the eventual offer of full-time junior terms with Liverpool as too risky a move. This time, it was Case turning professional football down, rather than vice-versa. With Saunders so convinced of the talent Case possessed, an eventual compromise was reached. Case would fit his training sessions in and around his apprenticeship commitments. Ascending to the reserve side swiftly, where he would play alongside some of his heroes, Case’s Liverpool supporting workmates would cover for him on days when he had an evening match ahead of him. He would be sent to the rafters of the building to get some sleep in preparation for the game. By May 1974, Case had completed his apprenticeship, and when Shankly offered him professional terms, he had finally – belatedly – at the age of 20, realised his greatest ambition in signing for Liverpool. Travelling as part of the club’s official party, Case was at Wembley to see Shankly and his men dismantle Newcastle in the FA Cup final. In the Newcastle line-up that day was two of his future team-mates from that all-conquering Liverpool side of 1978-79, in the shapes of McDermott and Alan Kennedy. Within a year, Case had made his first team debut, at home to Queens Park Rangers, on the final day of the 1974-75 season, and McDermott was alongside him in the Liverpool midfield. Within weeks of the 1974 FA Cup final, Shankly, the man who had overseen Case signing his professional forms, had stunned the world of football by unexpectedly walking away from the game. Bob Paisley was instead the man to hand Case his first team debut. Skilful, powerful, hard-working and quick to learn; while there were some difficult decisions for the new manager to make regarding his squad, Case was an absolute gift of a footballer for Paisley to inherit. Determined to ease the old guard out gradually, the persistence of Case proved too hard to ignore. Brought in sporadically during the opening months of the 1975-76 season, Case was explosive each time he was called upon. Important goals were scored against Tottenham, Aston Villa and Wolves, as he helped his team shake off the effects of a sluggish start to the campaign. By Christmas, Case had pushed his way past his experienced teammates to secure a regular place in the side. The fluctuating form of McDermott, an injury to Peter Cormack, and the fading influence of Brian Hall, all meant that Case breezed through to forcefully claim the number 8 shirt as his own. The lad from the tough park pitches of Merseyside was showing the highly priced signings and seasoned internationals how it should be done. A league and UEFA Cup double was clinched, the title won on an iconic evening at Molineux in a game sandwiched between the two legs of the UEFA Cup final. Case had been sacrificed from the starting line-up at Anfield for the first leg against Club Brugges in favour of another exciting local talent to have emerged that season, David Fairclough. Two-nil down at half time, Case replaced John Toshack for the second half, upon which he scored the crucial equaliser in a game that Liverpool eventually won 3-2. The scorer of the first goal was Kennedy, a man who by means of a Paisley masterstroke had been converted from a misfiring striker into a left-sided midfielder of classical purpose. Kennedy’s conversion had come almost simultaneously with Case taking up the right-sided midfield position. In the blink of an eye, Paisley had transformed the whole demographic of his side. Effectively dispensing with traditional wingers, Case and Kennedy operated as inside midfielders, tucked in to allow the full-backs to attack from wide. 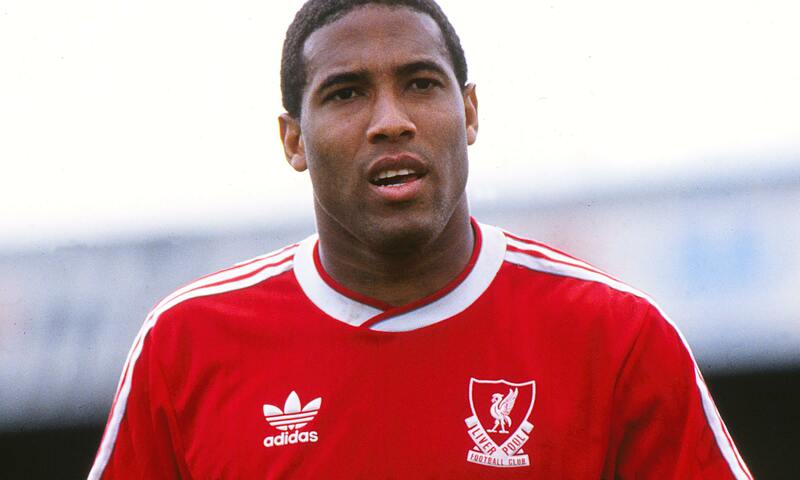 It was a change of direction that started the eye of Liverpool’s trophy-winning storm, and it was an ethos which remained intact until the arrival of John Barnes in 1987. By the beginning of 1978, that emblematic midfield of 1978-79 was complete. McDermott belatedly found his form during the early exchanges of the 1976-77 season, and with the ageing Ian Callaghan still conducting from the centre, Liverpool came to within a deflection of winning the treble. With the title retained and a first European Cup final upon the horizon, Liverpool headed to Wembley for the FA Cup final against Manchester United. The second part of the projected treble, Case had been pivotal in the run to Wembley, scoring a vital goal in the fifth round against Oldham. He’d also scored in both semi-final encounters against Everton. At Wembley, it simply wasn’t Liverpool’s day. Already playing under the condition that any prospective replay wouldn’t take place until late-June, Paisley selected a line-up designed to ensure the game was settled on the day. Fairclough, such a potent weapon, was controversially left out of the 12 on duty that afternoon. Despite Liverpool controlling the play for large sections of the game, it was United who opened the scoring through Stuart Pearson. Case, however, levelled the scores within two minutes, drifting across from the right, receiving the ball on the edge of the penalty area with his back to goal, and turning beautifully before powering his effort past Alex Stepney. As quickly as Liverpool had levelled the scores, they were behind once more, as a slip from Tommy Smith led to Jimmy Greenhoff’s effort ricocheting past Ray Clemence. In a game that spent most its time as a chessboard stalemate, the two protagonists had exchanged three goals in under five second-half minutes to settle the outcome. 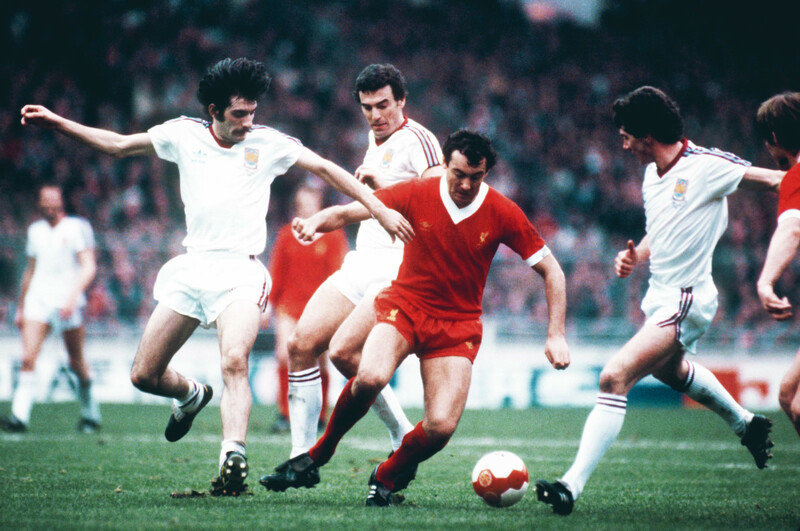 It was a bitter disappointment for Case, but one which was consoled four days later in Rome, when he helped Liverpool to victory against Borussia Mönchengladbach in the European Cup final. Within a year, a second European Cup winners medal was in his possession. It was in January 1978 that Paisley acquired the final piece of his hypnotic jigsaw, when he signed Souness from Middlesbrough, finally replacing the legendary Callaghan. Shortly before the arrival of the abrasive Souness, Case was involved in a tempestuous yet entertaining on-pitch altercation with the future Liverpool legend – a volatile coming together which ended with Case inviting Souness to take a punch at him. With Alan Hansen coming in to succeed Smith and Kevin Keegan metamorphosing into Kenny Dalglish, the evolution of Paisley’s Liverpool from the side bequeathed by Shankly into the all-encompassing 1978-79 heroes was complete. More of the same was delivered in 1979-80, yet despite the growing list of honours, both collectively and on a personal level, Case remained on the outside looking in when it came to Ron Greenwood’s England squad. With the England manager favouring out-and-out wingers, Case was out in the cold. Kennedy also suffered for similar reasons, and while he did represent his country 17 times, it was a shockingly low number of caps for a footballer of his class. Slowly but surely, however, the winds of change were beginning to blow at Anfield. 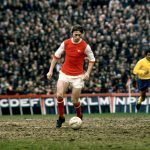 Case had missed the run-in to the 1980 title win through a shoulder injury sustained in the initial FA Cup semi-final encounter with Arsenal and was also unavailable for the trilogy of replays which followed. In his absence, Sammy Lee deputised for him seamlessly. The seeds of change had been planted. While Case returned to the side at the start of the 1980-81 season, a further injury setback opened the door wider for Lee. By the time Case returned, Lee had cemented his place in the side. During a season that was distinct due to an unusual Anfield injury epidemic, Case was often drafted back into Paisley’s side as cover, but it was becoming increasingly evident that his time at Liverpool was drawing toward an end. With fears that his injury problems would escalate due to the combative nature of his approach to the game, the advancements made by Lee, and the residue of unfortunate off-pitch incidents with a group of journalists in Tblisi and a hotel owner and his son in Wales, Case had begun to assess his options long before heading to Paris for the European Cup final against Real Madrid. Still just 27, Paisley took the decision to move Case on prematurely. Despite rumoured interest across Stanley Park at Everton, and in a bid to remove himself from the drinking circle he had become ingratiated within, Case opted to move himself south. Arguably at his peak age in footballing terms, there shouldn’t have been a shortage of top teams eager to sign him. Brighton and Hove Albion would, however, be his unexpected destination. Having narrowly avoided relegation from the First Division the previous season, securing the signature of Case was a major boost for the south coast club. Case successfully rode the culture shock of life away from the champions of Europe and inspired his new club to their highest ever league placing. His second season at the Goldstone was classically sweet and sour. An array of early, heavy defeats set the tone in the league, and while they had much to fight for at the turn of the year, the introduction into their season of the FA Cup was simultaneously inspiring and detrimental. With a managerial change having brought Jimmy Melia into the dressing room, the Seagulls managed to pick up just three league wins beyond the dawning of the New Year. In the FA Cup, it was a very different matter, however. After two reunion encounters with Keegan and McDermott when Case’s Brighton faced Newcastle, and a 4-0 dismantling of Manchester City, it set up a trip to Anfield for the fifth round. Bottom of the table Brighton away to top of the table Liverpool. The biggest home banker of the weekend. When Case struck a screamer of a goal to put Brighton 2-1 up with a little over 20 minutes to go, it left Anfield astounded. Eventually holding on for a famous victory, Case felt a point had been proved. Not to the Liverpool supporters congregated – supporters who applauded their former hero off the pitch – but instead to his former manager Paisley, for whom Case still felt he should be playing for. While league fortunes refused to rise, the FA Cup rolled onward. Case scored the only goal in their quarter-final at home to Norwich City, and then he opened the scoring in the semi-final against Sheffield Wednesday at Highbury with a spectacular free-kick, edging through to Wembley for another FA Cup final appointment with Manchester United. Just as during Liverpool’s run to the final six years earlier, Case had been pivotal for Brighton, and despite relegation having befallen the club, it was a confident set of players who walked out at Wembley to face Ron Atkinson’s star-studded side. Carried by a combination of raw enthusiasm and the experience of Case, Brighton came agonisingly close to winning the FA Cup. With the score at 2-2 and just seconds remaining in extra-time, Gordon Smith missed a golden opportunity to win the game. Afforded acres of space inside the penalty area, and with the ball at his feet, Smith arguably had too long to think about the opportunity that had been presented to him. Gary Bailey was quick to make the block and Brighton’s chance was gone. The replay five days later was an entirely different game as Manchester United cruised to a 4-0 victory. Case’s dream of winning the FA Cup was lost forever. While it would have been the easier option to move on to another First Division club, Case elected to stay with Brighton beyond relegation. 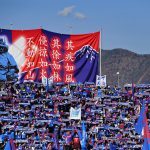 The Second Division would prove a frustrating battleground. Never in the running for promotion, the highlight of the campaign was another FA Cup win over Liverpool, this time on home soil, a game that Case missed out on. By the spring of 1985, Case was back in the First Division, moving along the south coast to Southampton. Brought to The Dell as an initial short-term option by Lawrie McMenemy, Case would eventually spend over fruitful six years with the Saints, again crossing paths with Dave Merrington, the coach who had turned him away at Burnley well over a decade earlier. Appointed club captain by McMenemy’s successor, Chris Nicholl, Case came desperately close to one more trip to the FA Cup final when Southampton made it to the semi-finals in 1986, where he came face-to-face with Liverpool once again. In a game that went to extra-time, Ian Rush was the difference between the two teams at White Hart Lane. A further League Cup semi-final was reached a year later, where Liverpool again barred Case’s path to Wembley. While these near-misses were understandable frustrations, his time at Southampton went a long way to endorsing the concept that Paisley had been hasty in letting Case depart Anfield in 1981. Having moved into central midfield, Southampton revolved around Case. A wonderful influence on burgeoning stars such a Danny Wallace, Rod Wallace, Matt Le Tissier and Alan Shearer, Case’s experience was vital at The Dell. During Case’s six years with Southampton, the club never seriously threatened relegation. Finishing a high of seventh, The Dell was a fortress, one that no team enjoyed visiting. Tight and compact, with the stands pushed right up against the touchline, as a spectator it was a ground where you felt that you could reach out and touch the football being played out. Case thrived upon his new stage. Continuing at the highest level until the age of 37, he finally began to wind down his career a full decade beyond leaving Liverpool. In the summer of 1991, the Southampton board, seemingly tired of mid-table respectability, parted company with Nicholl, and despite Case being touted as a potential successor, the job fell to Ian Branfoot. In a wildly unpopular decision, Branfoot immediately gave Case a free-transfer, stamping his authority and removing a perceived rival within the dressing room. Not much more than a year earlier, Case had been mooted for a massively belated England call-up. While he was clearly coming toward the tail-end of his playing days, Case still had much to offer Southampton. After an enjoyable year at Bournemouth under Harry Redknapp, Case continued to play wherever he was offered a game – Halifax Town, Wrexham, Darlington, Sittingbourne and finally back to an ailing Brighton to help Liam Brady in a time of need. Case was still playing at the age of forty-one. Even managing the club for a short while. Case has never let go of the game. Beyond playing and coaching, he has maintained a relationship with football through radio commentaries with local BBC stations in both Liverpool and Southampton, and a long-term involvement in the former players’ association, appearing as a regular on the after-dinner circuit. Case enjoyed a highly decorated career and was an integral component of Liverpool’s greatest ever team. Powerful and hard on the pitch, yet an artist with the ball at his feet, alongside Souness, they were billed as the iron fist of Paisley’s greatest team, and, just like Souness, Case had so much more to him than simply being a stereotypical hard man. He was a visionary, just as all Paisley’s hand-picked elements were. Being a part of, and conversely, the leaving of Liverpool were both the making of Jimmy Case. An FA cup aside, he won the lot, and then set off on an odyssey to prove a point or two. He certainly succeeded.